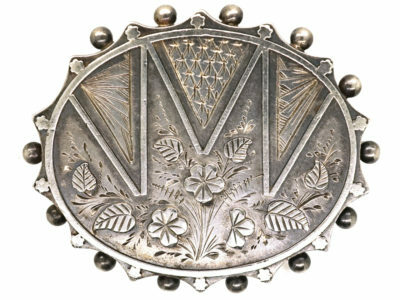 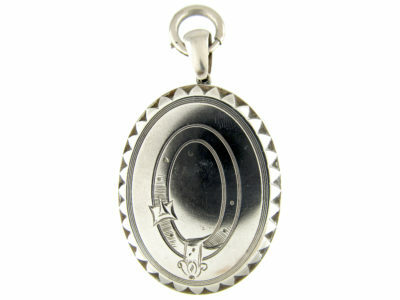 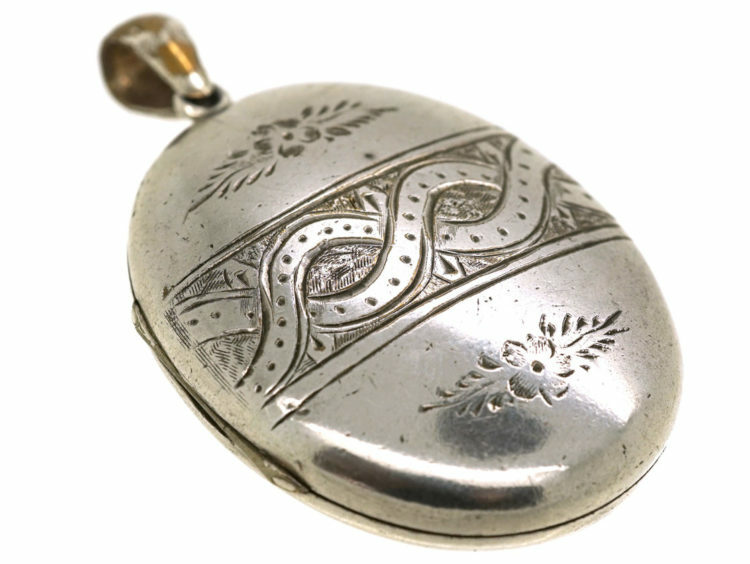 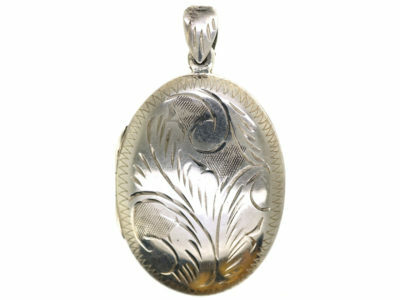 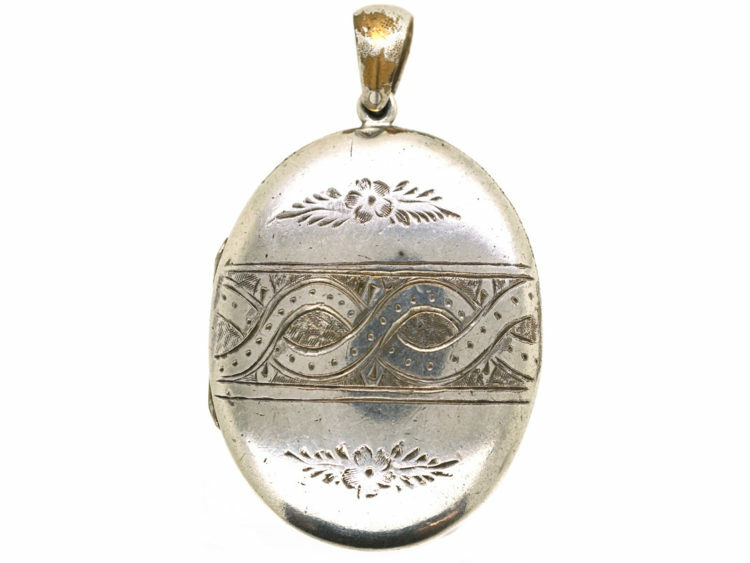 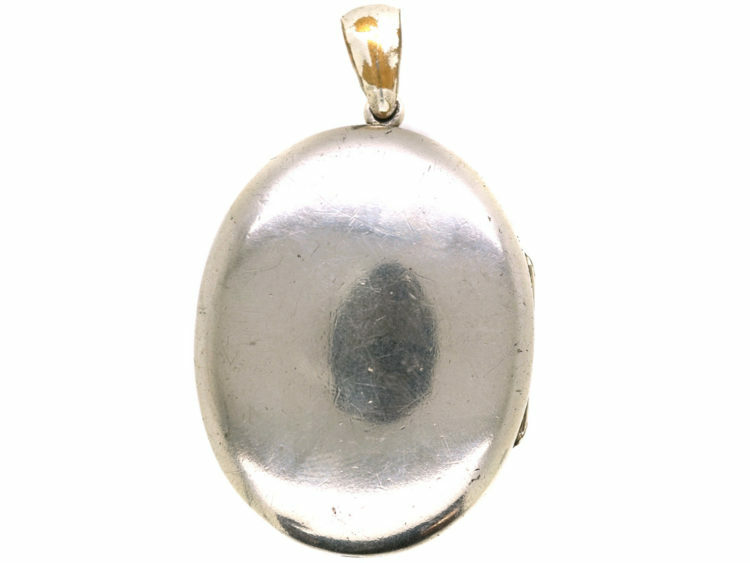 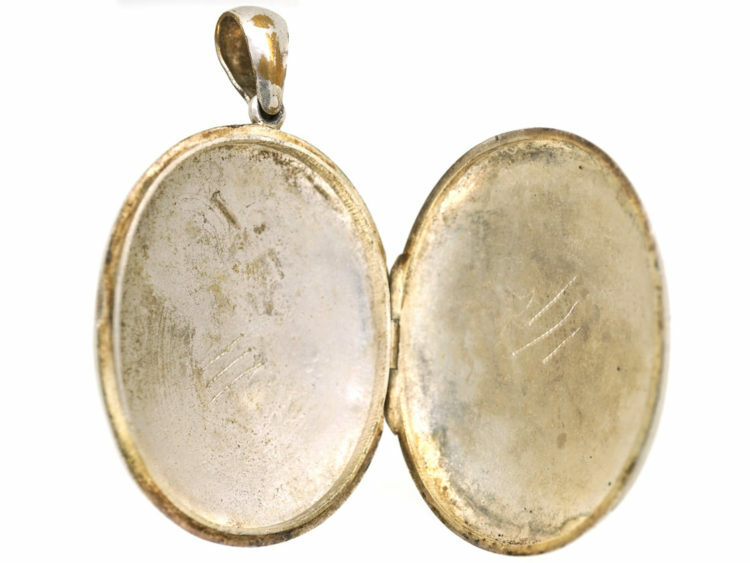 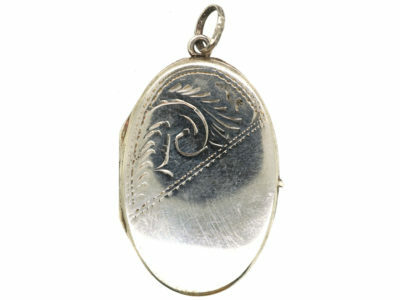 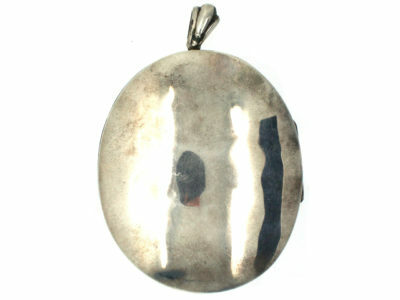 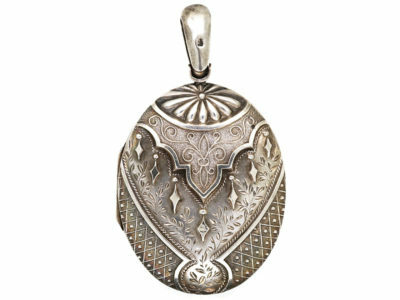 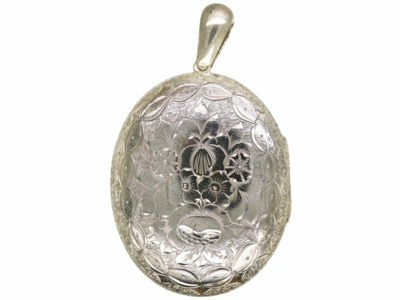 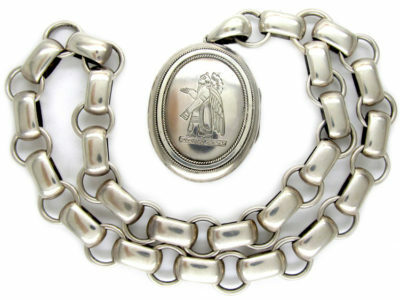 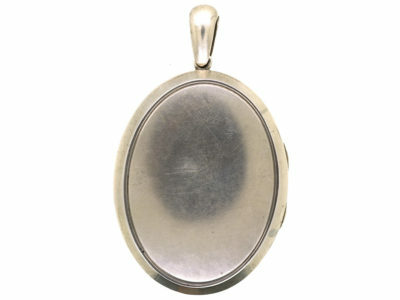 A smart silver oval locket that was made circa 1880-1900. 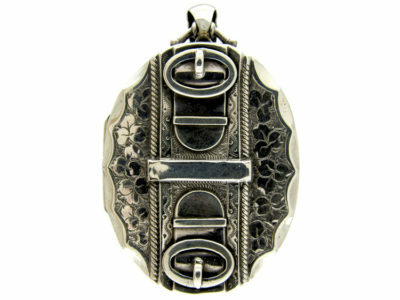 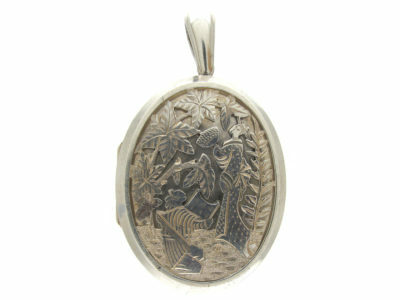 It has an engraved interwoven design with flower above and below. 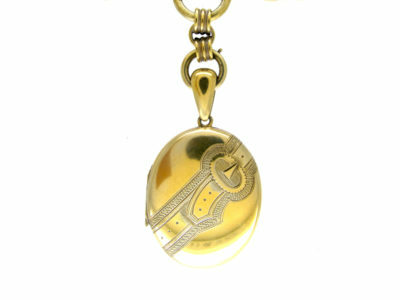 These lockets look good when worn on mid length chains.